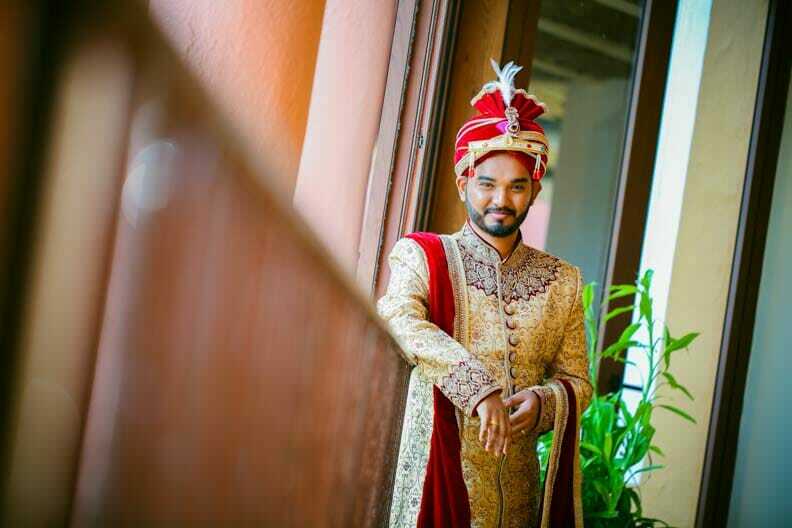 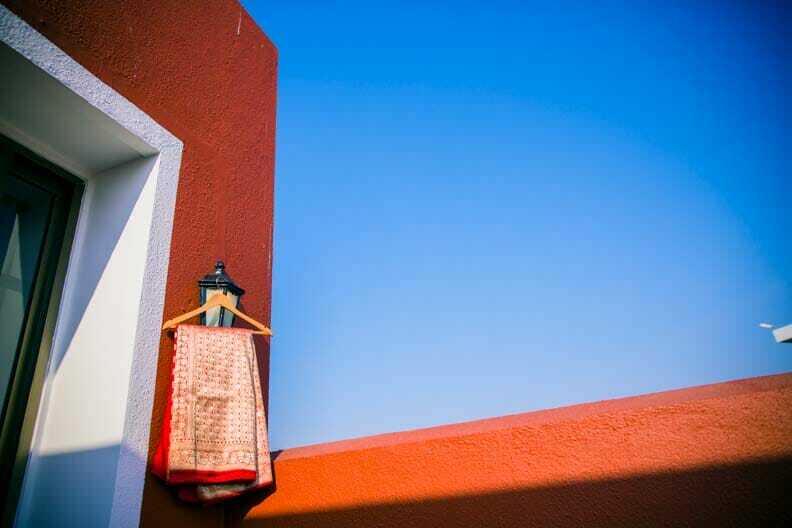 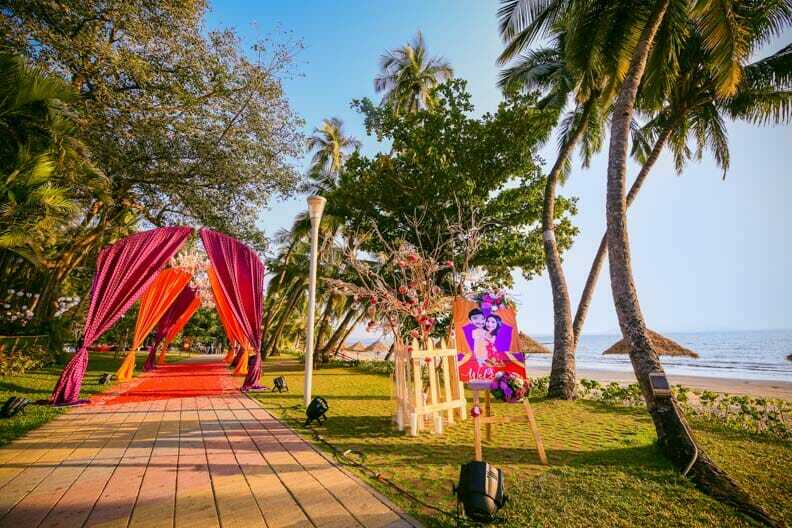 A Maharashtrian wedding shot in the beautiful beach side locales of Goa. 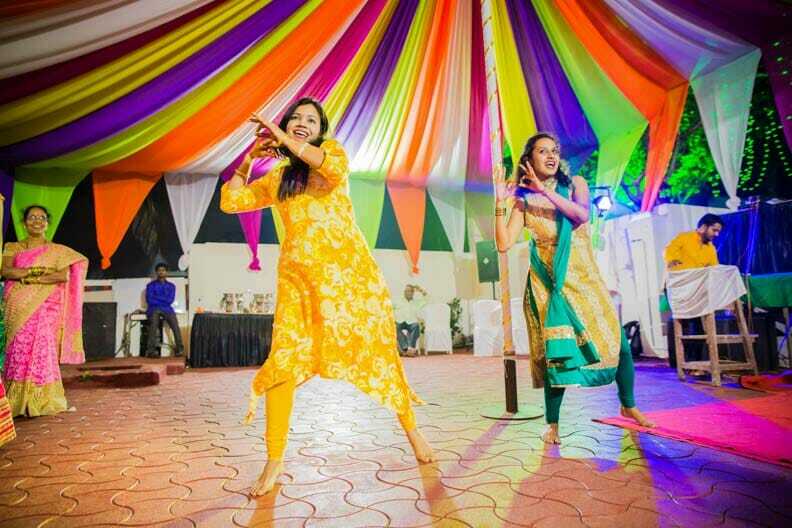 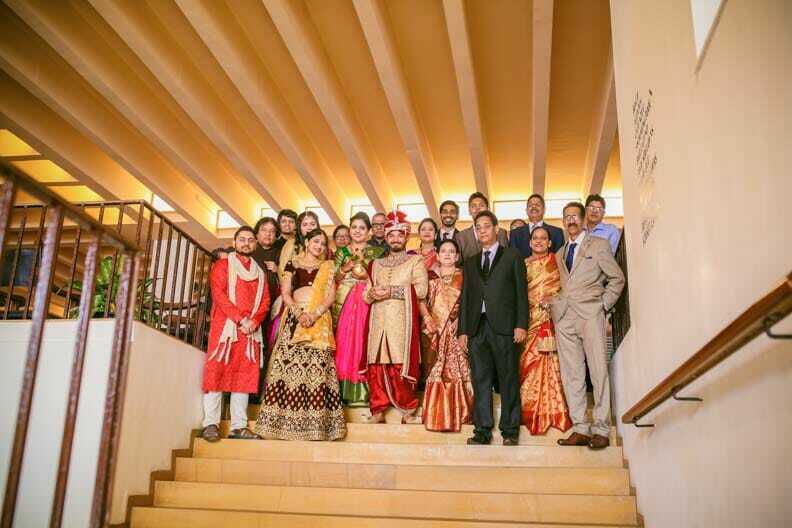 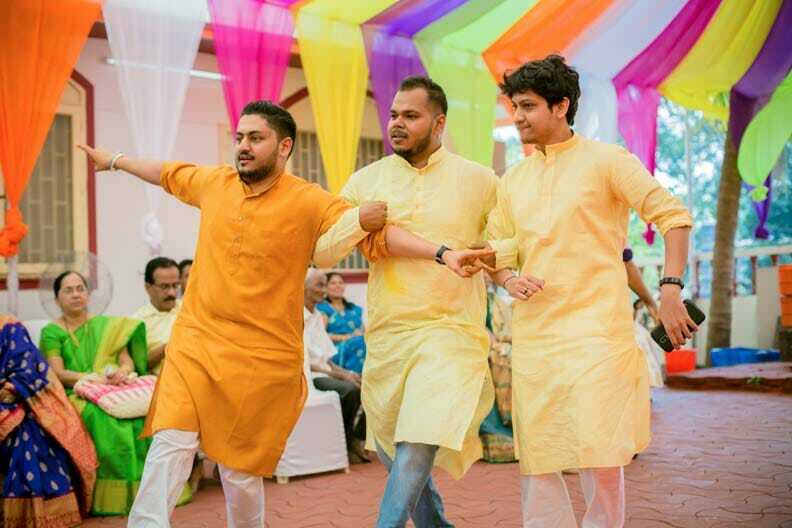 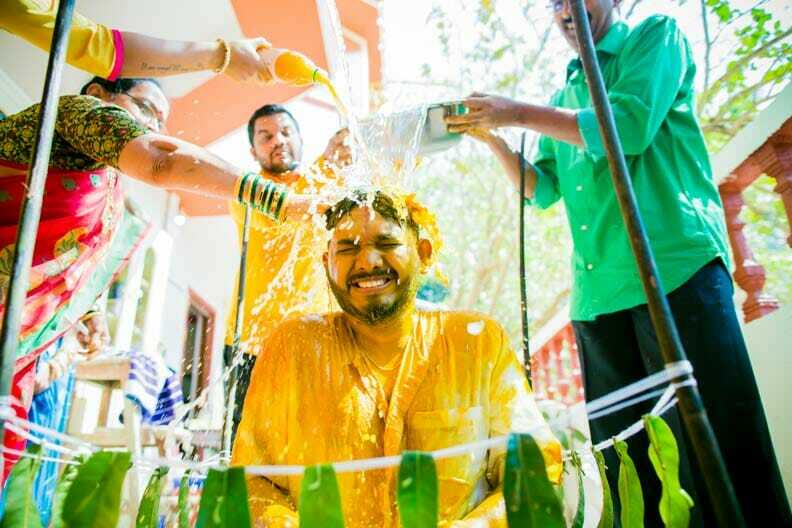 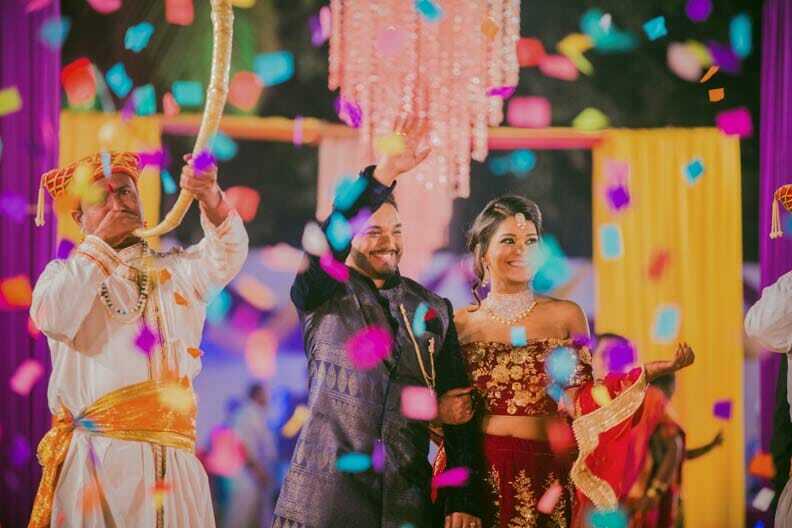 The wedding celebration of Kshipra and Vasant was an amazing display of colours, emotions, fun and love. 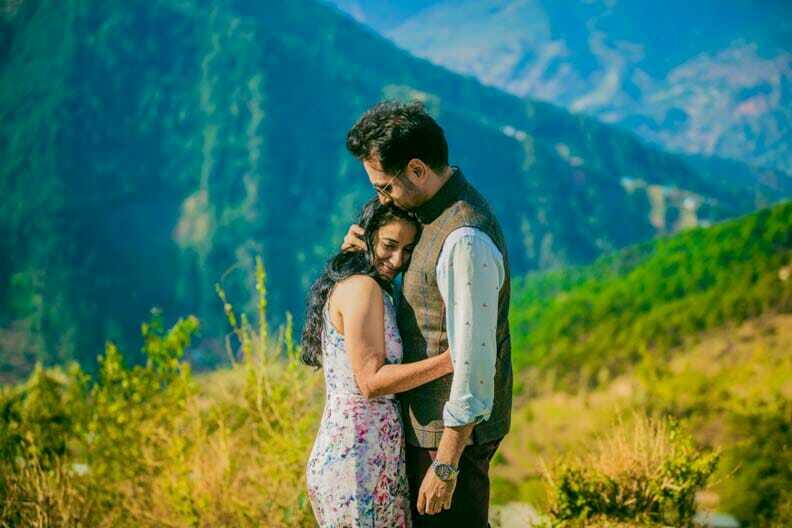 Office colleagues who traversed the path of friendship leading to eternal romance, Kshipra’s and Vasant’s story seems typical but still as refreshing as ever. 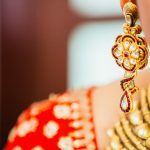 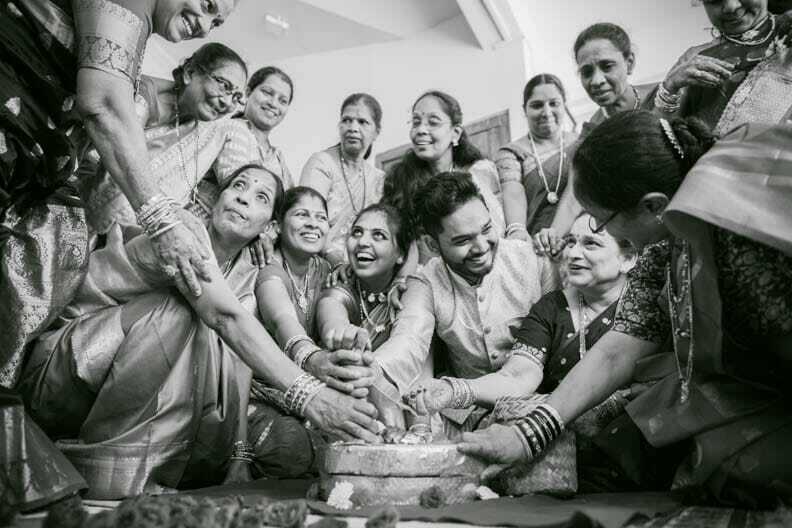 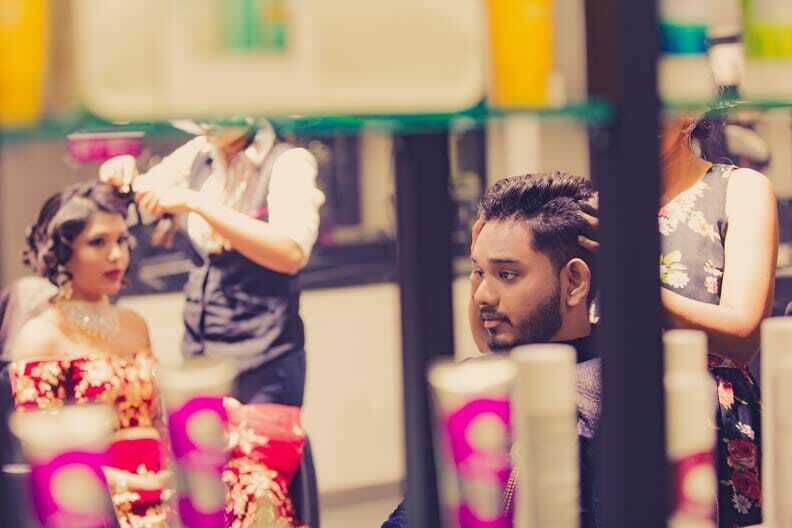 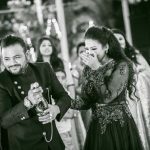 Hailing from Mumbai, it was the many friendly meetings over a couple of years and a sudden distance experienced upon Kshipra’s work posting in Brazil and Vasant’s in New York that both discovered that marriage seemed to be the ultimate sealing on their romance for a lifetime of togetherness. 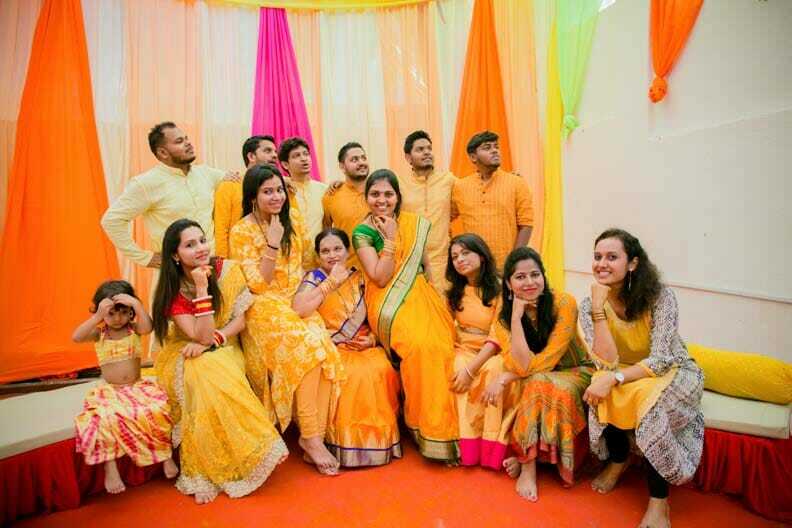 Being fun seekers who loved doing crazy stuff together, it was during Kshipra’s visit to New York that Vasant popped the question. 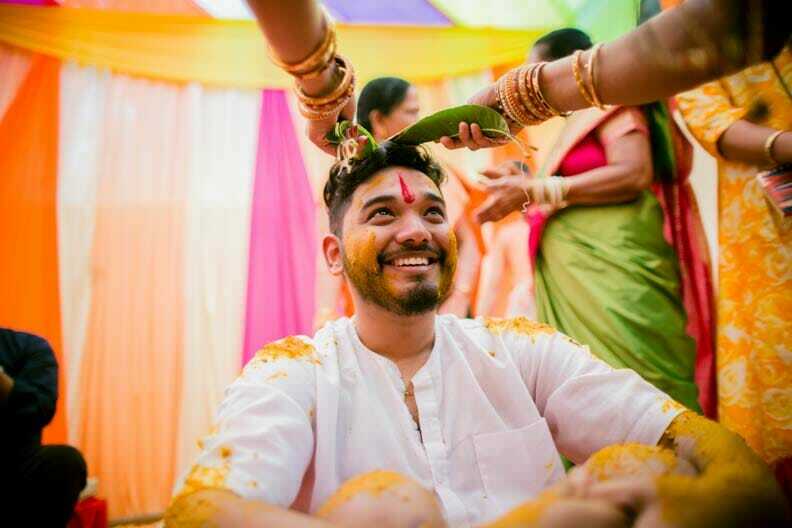 The answer was an imminent Yes. 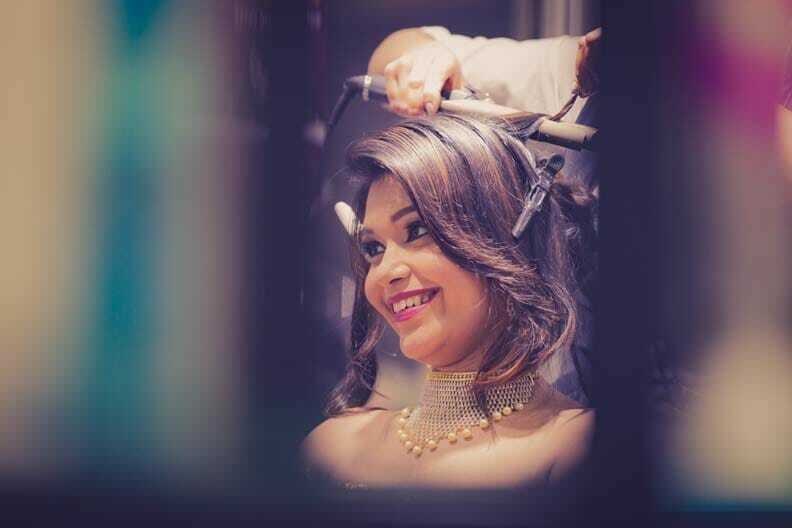 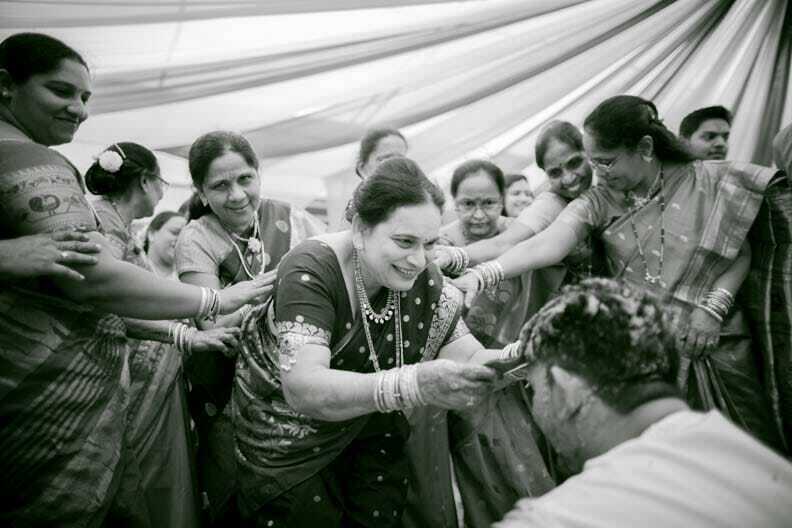 What followed was an eventful journey of endless preparations for their most cherished day. 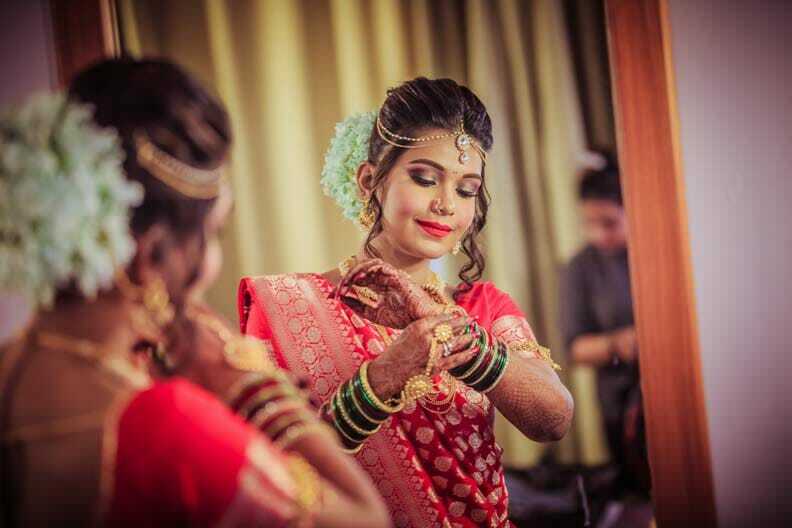 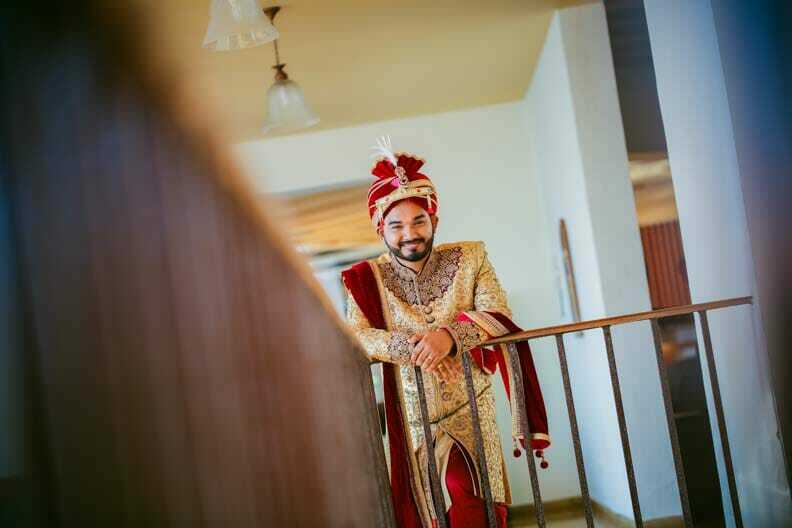 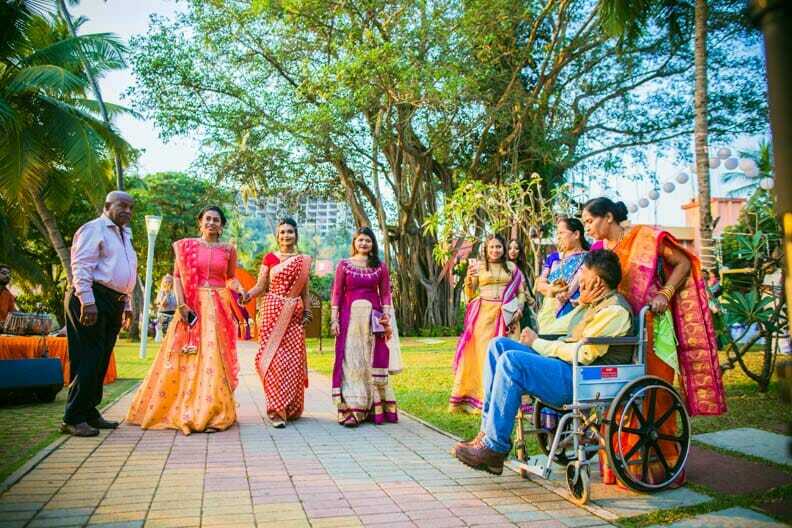 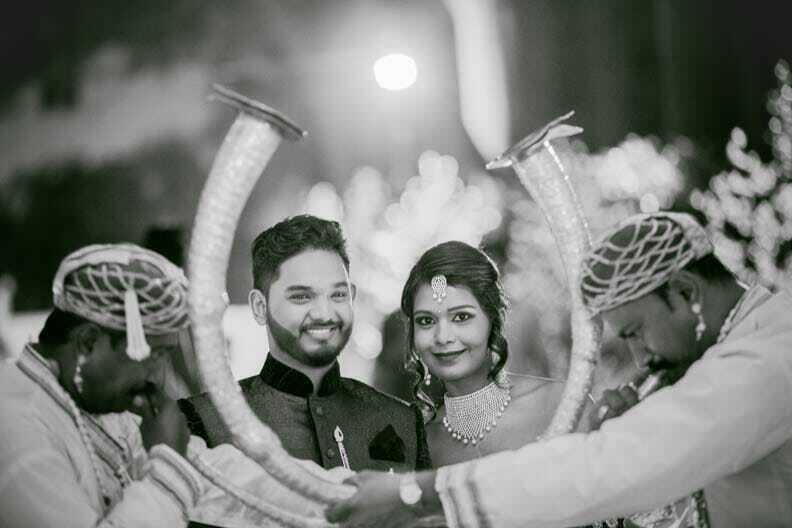 Shot at a lovely pristine beach side resort of Cidade-de-Goa, this authentic Maharashtrian wedding packed simplicity with the tremendous sense of involvement this couple put into each and every aspect of their marriage. 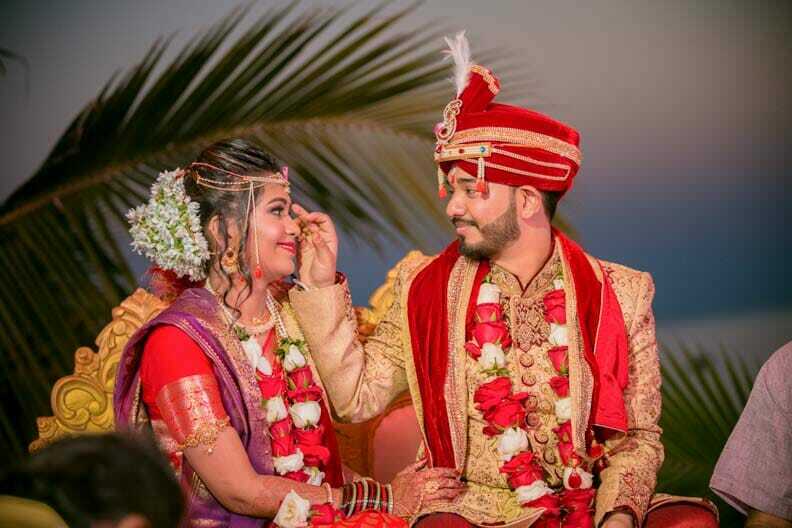 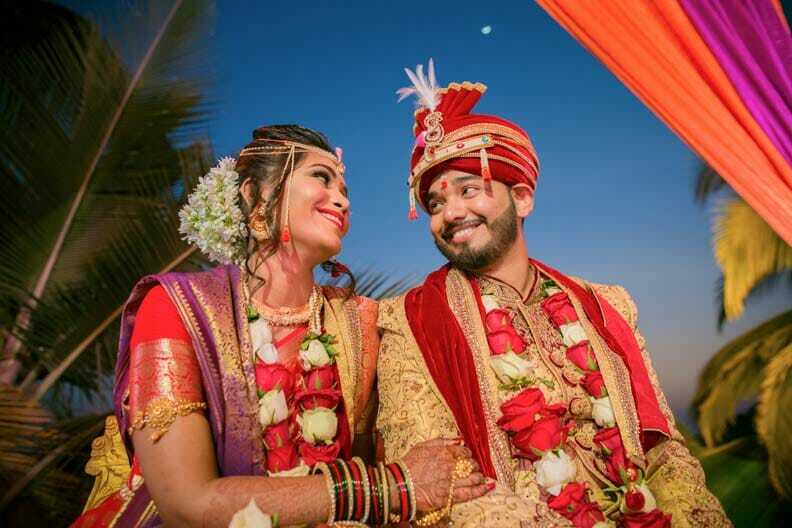 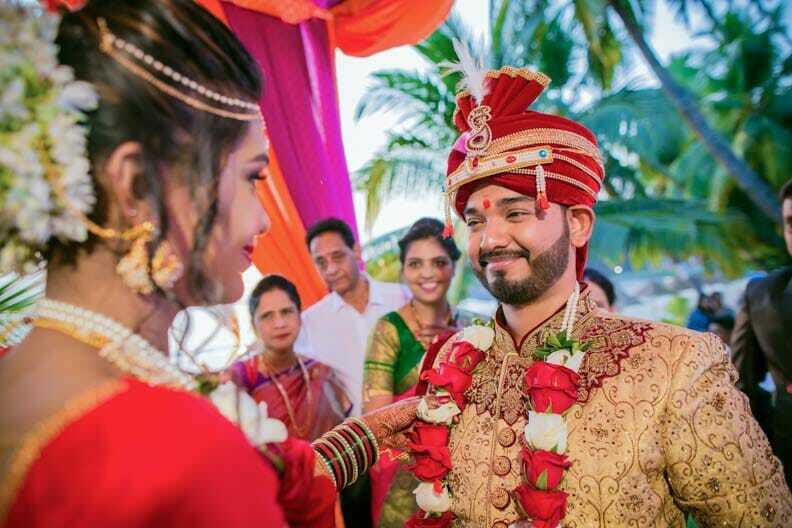 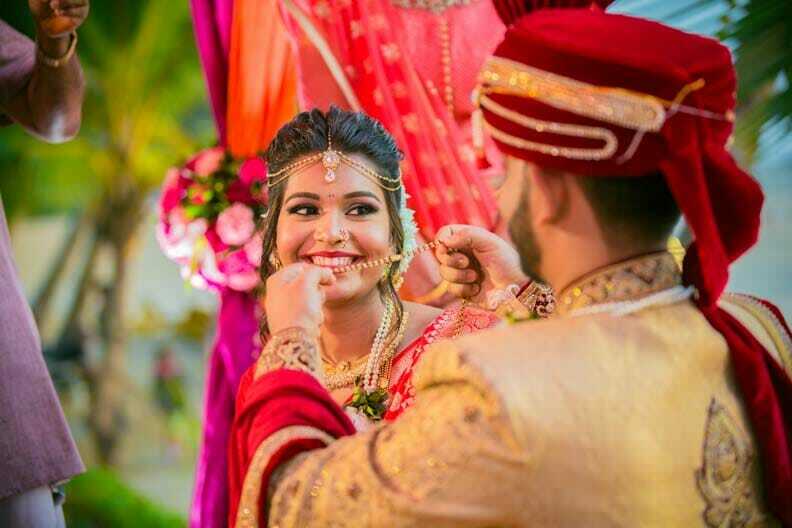 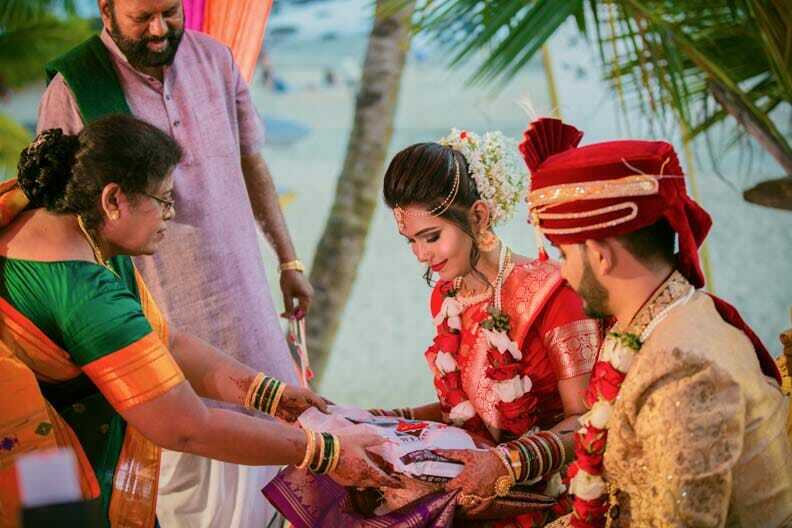 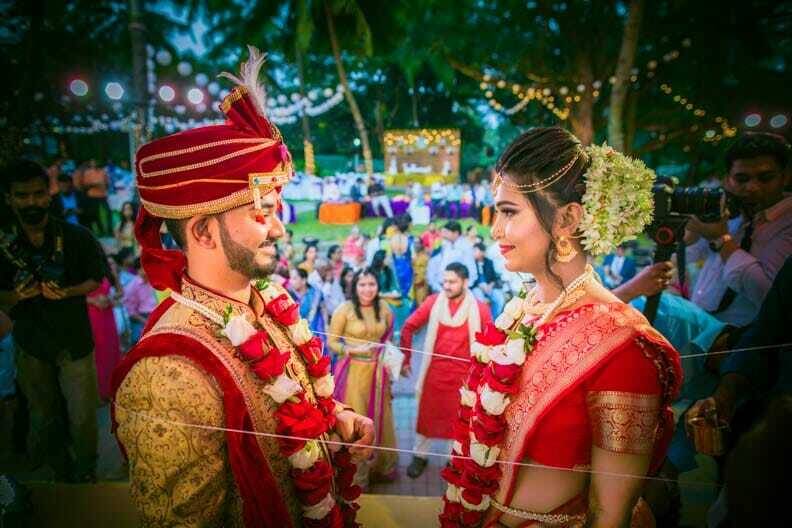 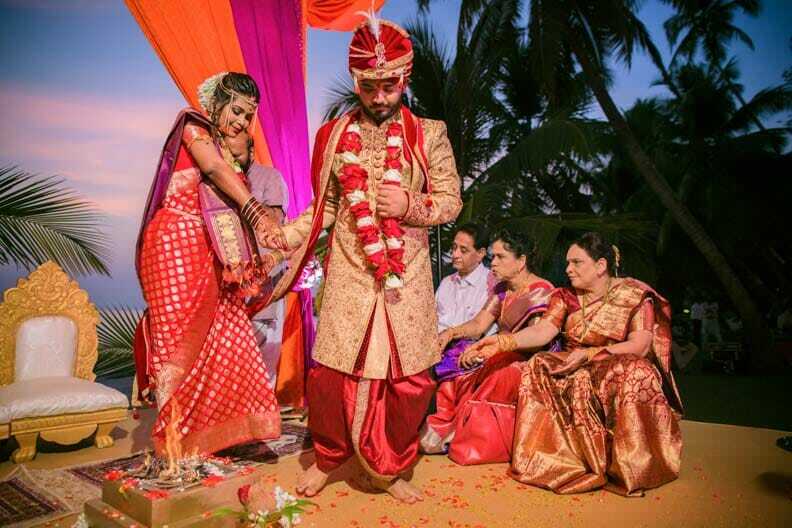 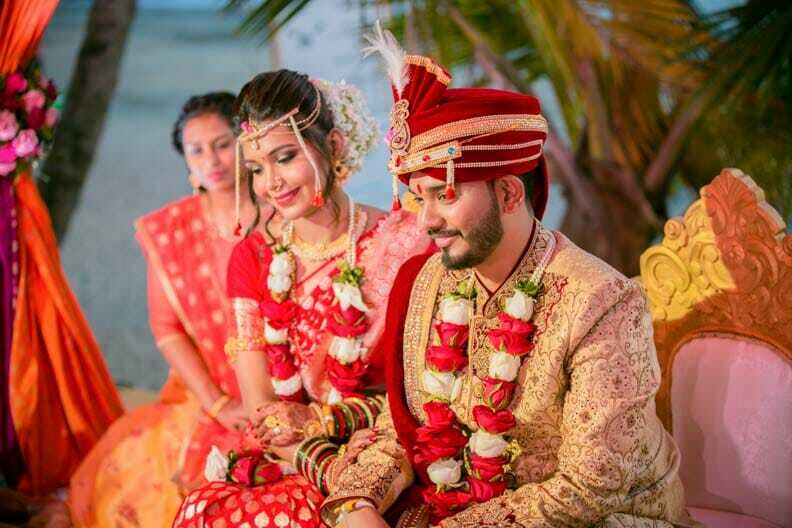 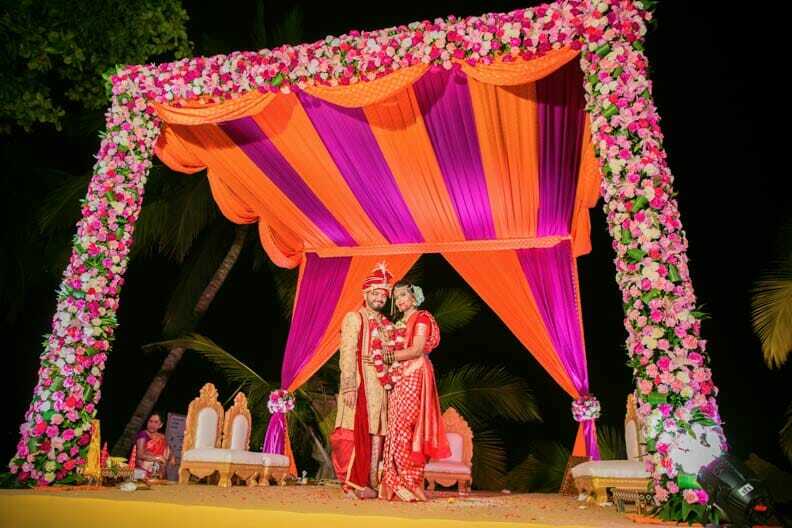 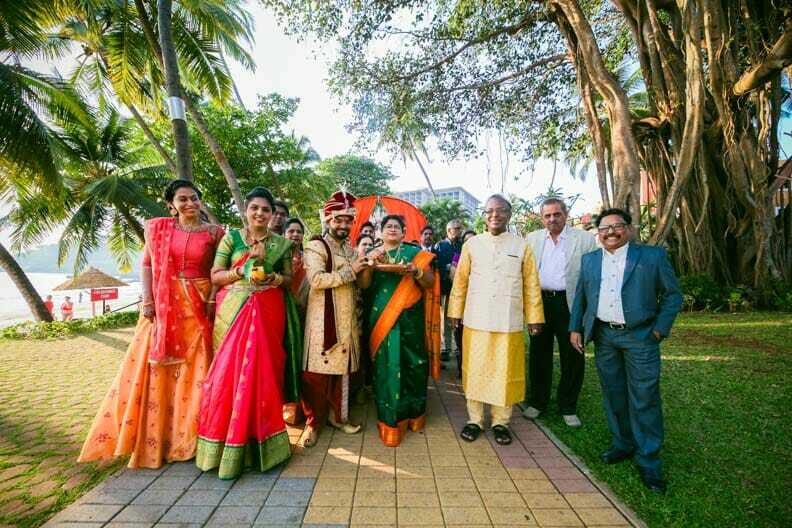 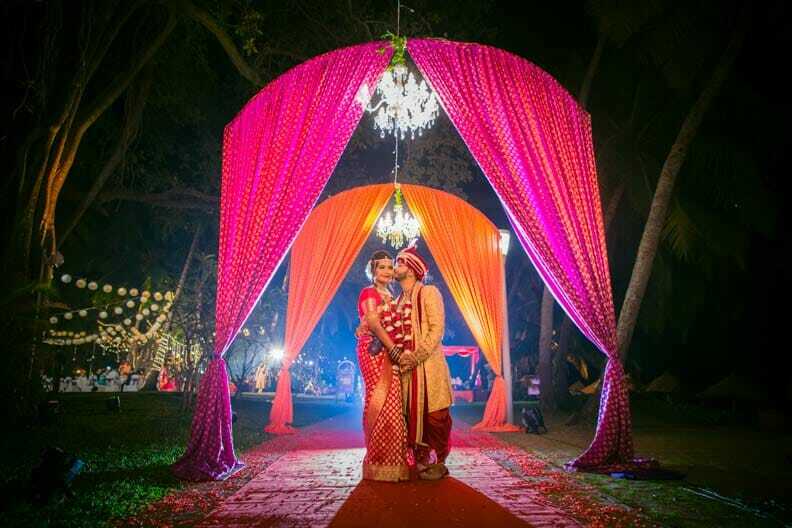 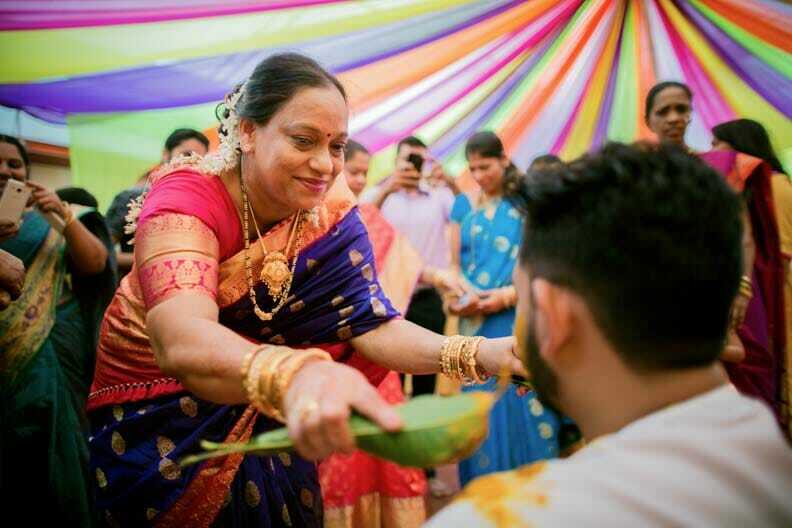 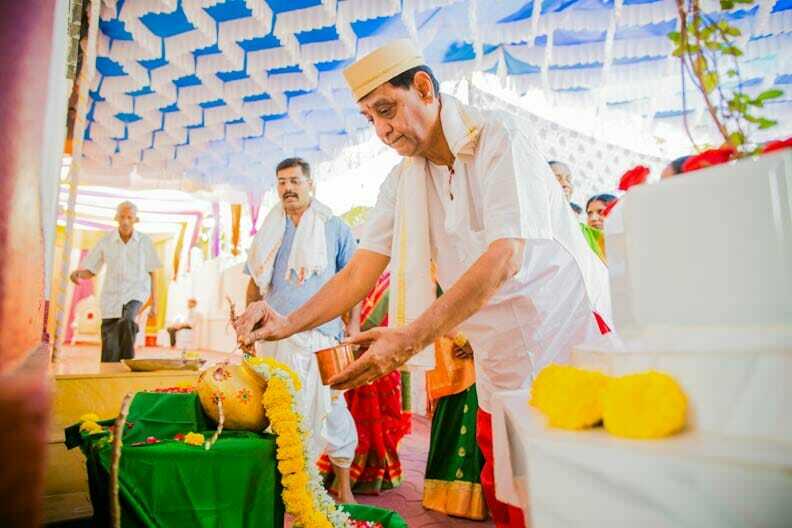 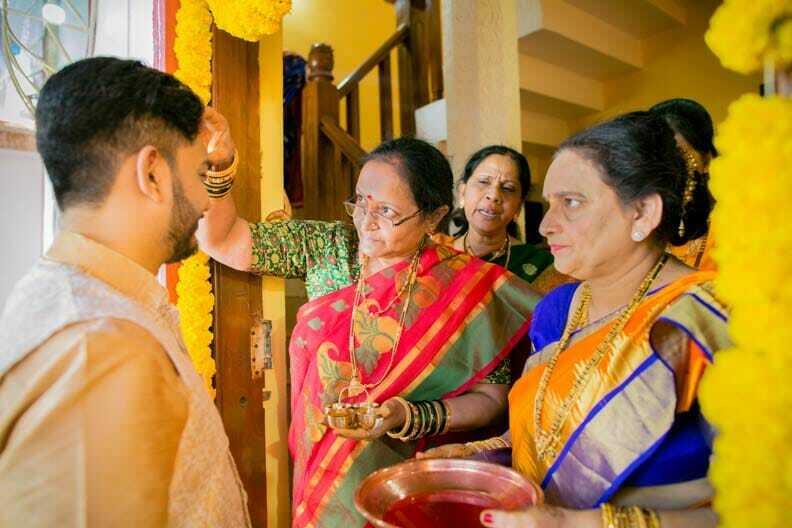 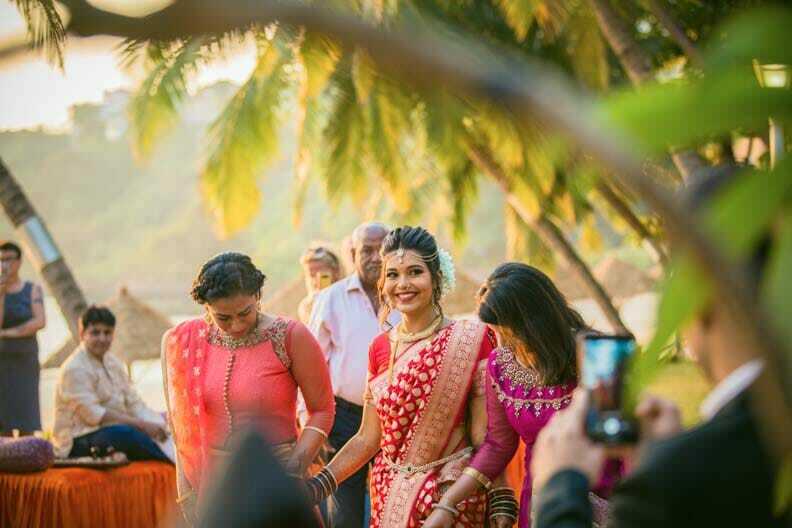 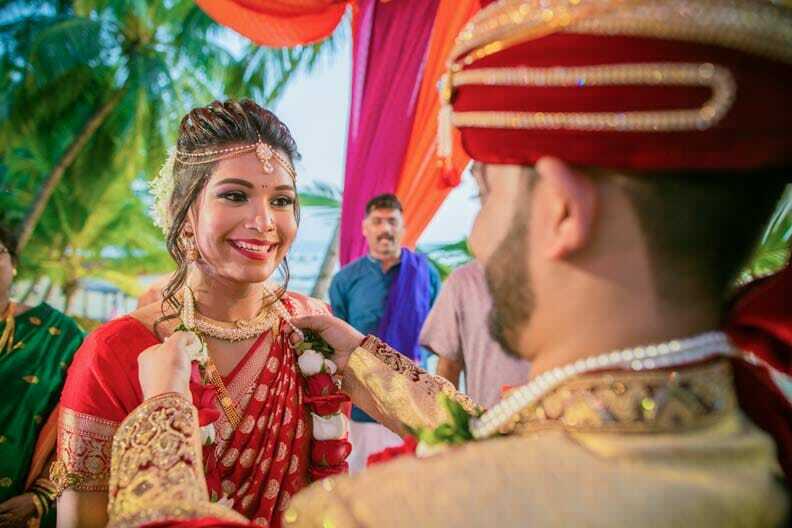 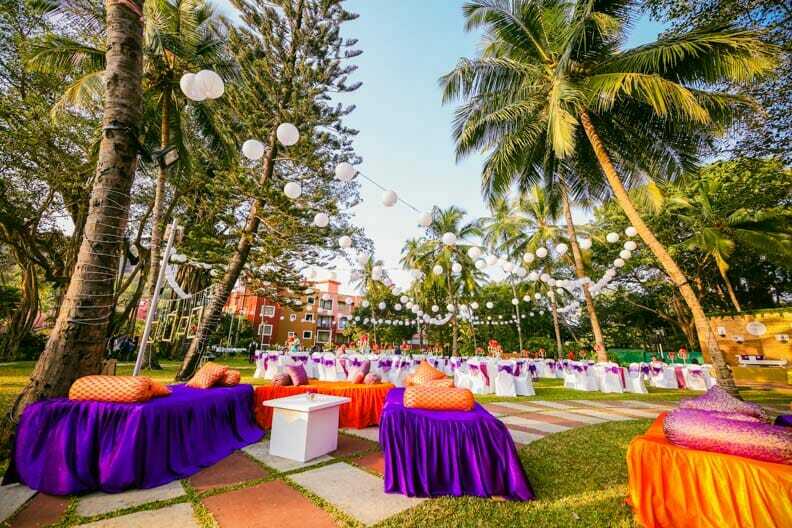 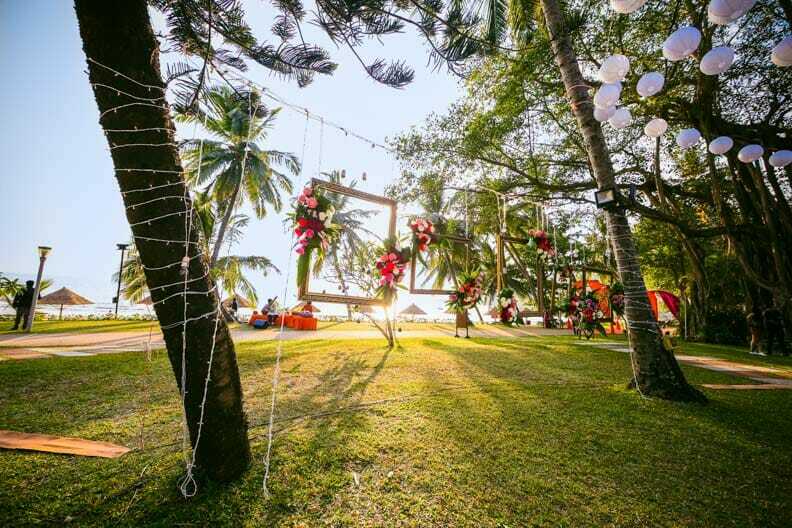 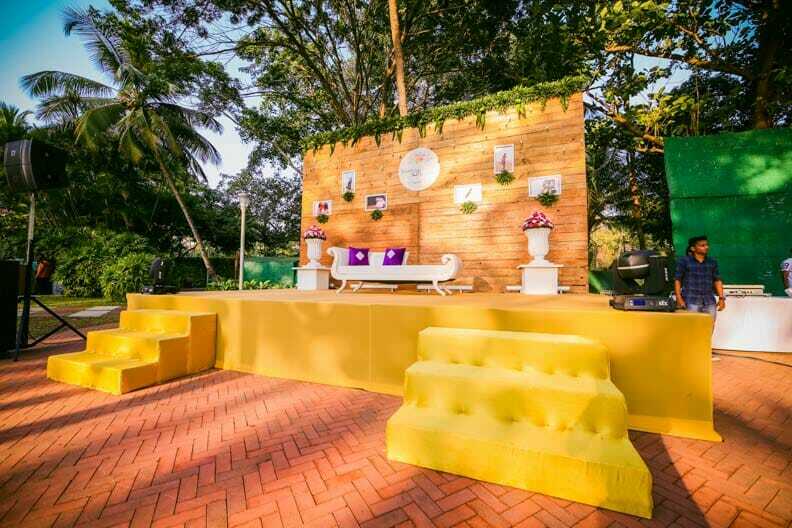 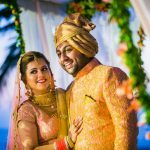 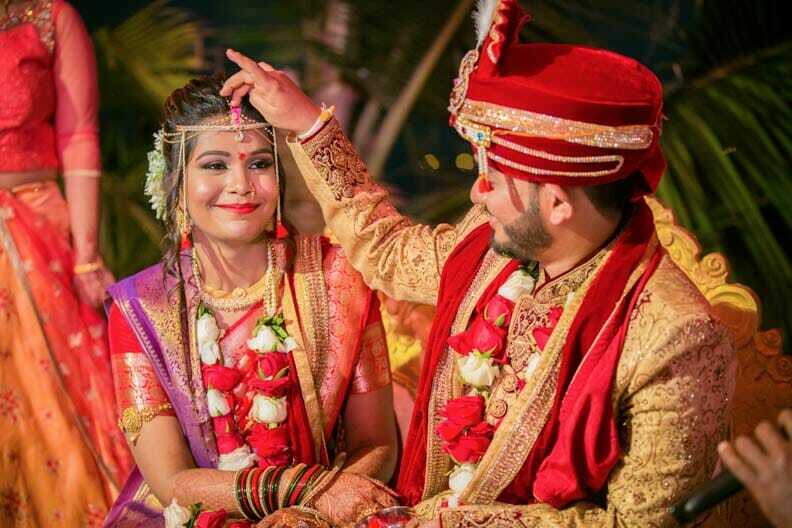 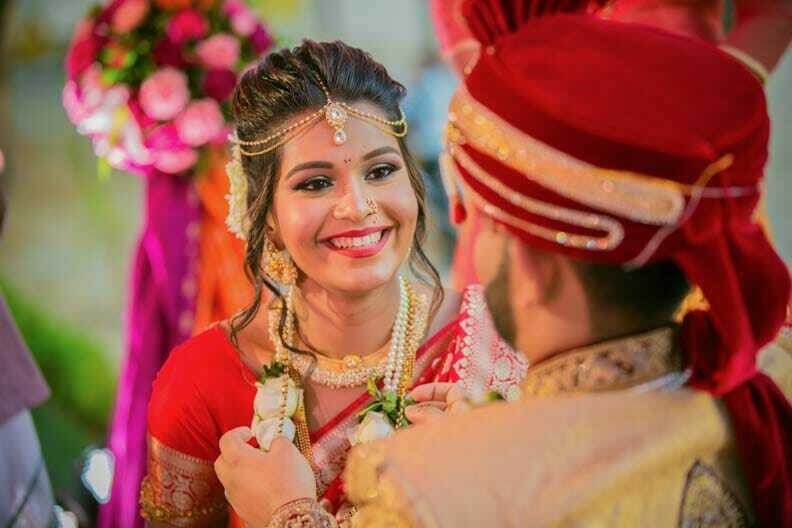 Rejoice in the beauty of love of this carefree sweet couple who pledged to tread the path of eternal love in an intimate ceremony solemnized on the charming beaches of Goa. 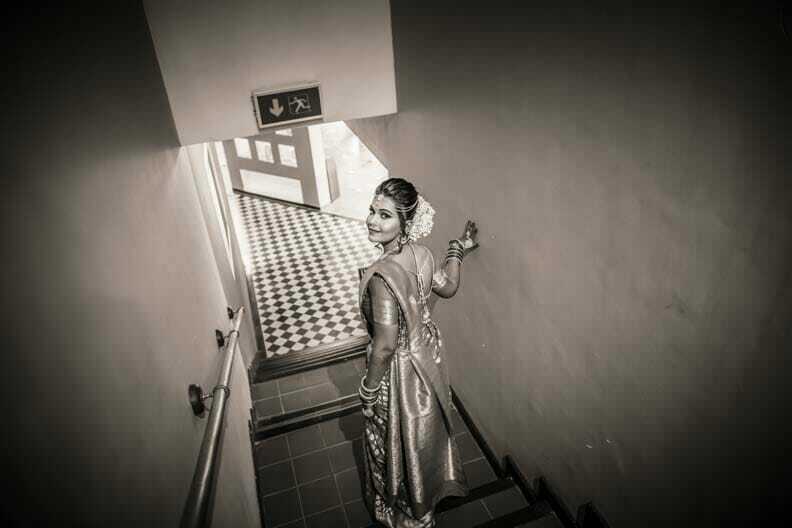 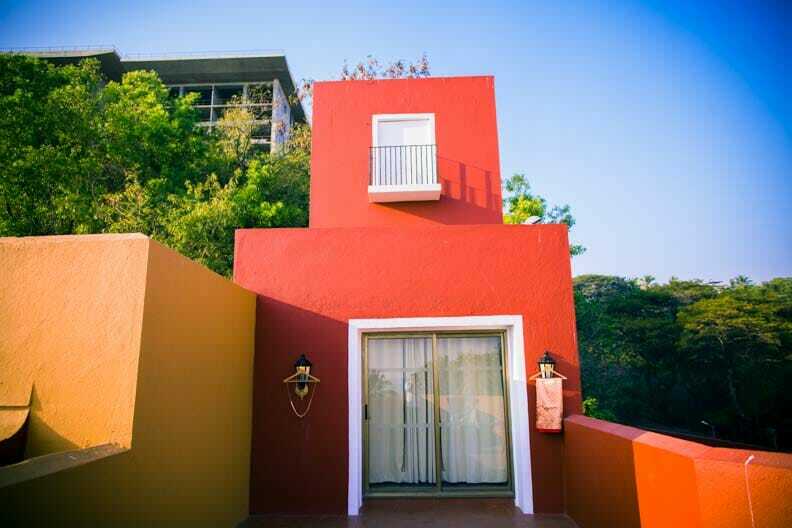 Great shots!! 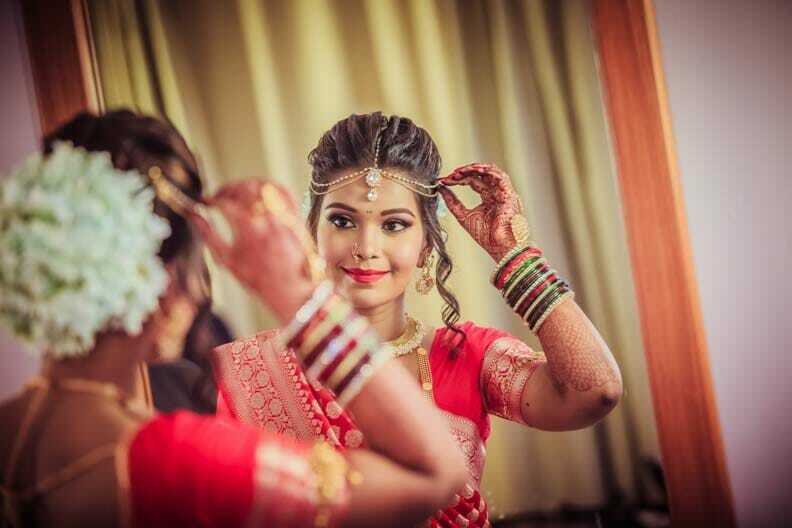 I love the bride’s make up. 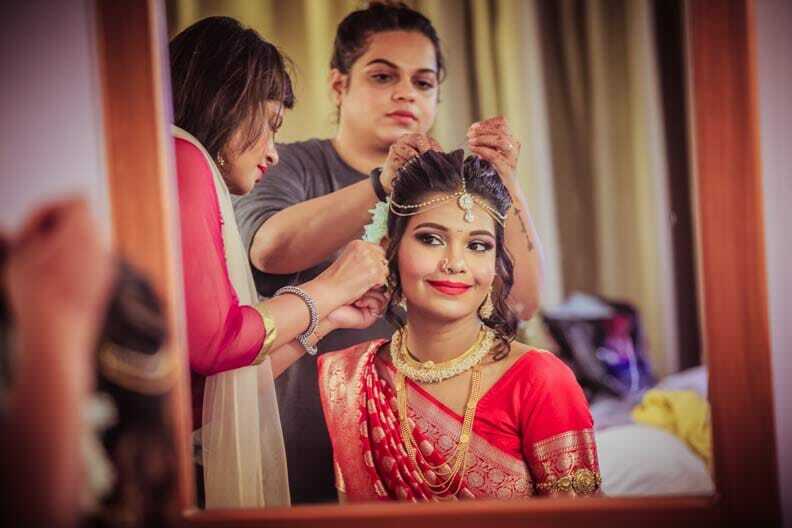 CAN YOU GIVE ME THE NAME OF THE MAKEUP ARTIST PLEASE? 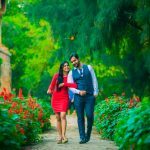 Have a look at our couple shoots portfolio below.